The enamel on the teeth of this 55-year-old male was completely worn away after years of severe bruxism (teeth grinding). This case was so acute that his lower front teeth had been worn almost to the gum line. He wore a mustache for much of his adult life because he did not like his appearance. 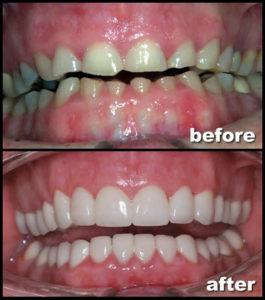 A complete set of crowns was needed to restore this man’s teeth. 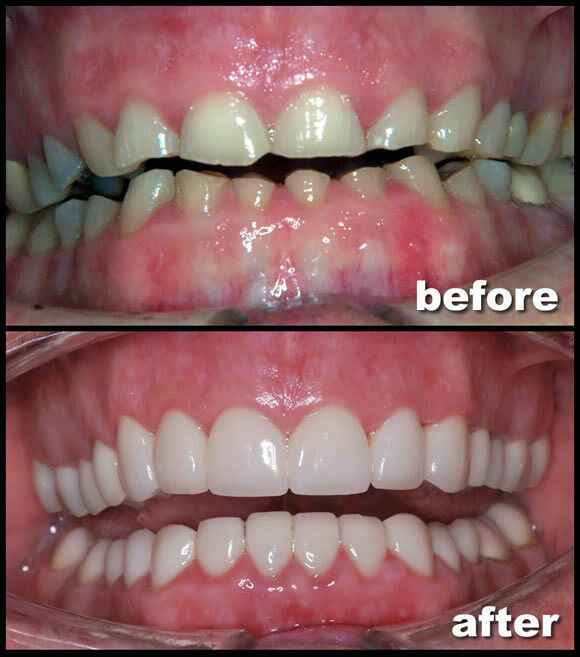 Our porcelain crowns restored his teeth to their natural length and color, and gave him a beautiful smile. Needless to say, this man was delighted and…his mustache is gone!